I was talking to someone in the office this morning. I was actually watching tech support change a failed hard drive – that’s how badly I didn’t want to sit down and write a particular document. He told me that I didn’t have to watch him change the hard drive (especially because it wasn’t my laptop). I told him – “I’m procrastinating on writing a client document.” After a few polite questions he asked me what the problem was with the client. I sighed and said the conversational equivalent of: “Senior management is completely disengaged when it comes to setting strategic direction for the web. So, middle management and the web team are just flailing about in a reactionary way putting up whatever content needs to be had at the moment and fighting with each other about what’s the most important content on the site, and watch technology to use, yadda, yadda, yadda…” He nodded knowingly. Then I realized, this statement could be made for just about all of our clients. Most “web site problems” stem from the rotten root of ambivalent senior management. So in a moment of largesse (and finding a more creative way to procrastinate), I thought I would write this blog entry. If you’re having Web problems, the first thing to consider (before calling a content management system vendor, a taxonomist, a web design firm, or Web Operations folks like us), is whether or not the CEO, Administrator, President or whoever heads your organization is even thinking about the site – strategically. If they are not, then more than likely any changes that the web team makes to the site will just be “interim” or “quick fixes.” For a lot of organizations, the organization’s public facing web site is the first point of contact for business partners and customers, prospects, and information seekers it deserves serious senior consideration. I’m not just talking about making sure that the web site looks good either. Good web design – while shockingly rare in some segments of the Web – is not a mystery and good web designers and information architects are easy to locate. I’m talking about establishing performance and quality objectives for web sites – objectives, which support the overall mission, service and/or business objectives of your organization and then holding folks accountable for meeting those objectives – like you don’t get your raise if you don’t get it done. If you establish these basic strategic and governance related principles, you will find that a lot of the other decision related to web design, what types of software needs to be utilized, etc. become a lot easier to answer. So, get your Web Strategy and Web Governance ducks in a row before you shell out the big bucks for a web site redesign or a new web content management system or fancy pants consultants like us. 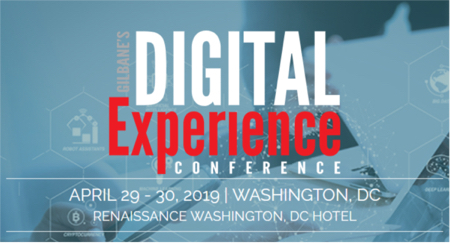 But if your still dying to talk to someone anyway or just commiserate with other folks with messed up web sites, we’ll be talking a lot about various strategic and governance issues at the Gilbane conference in Washington DC next week.